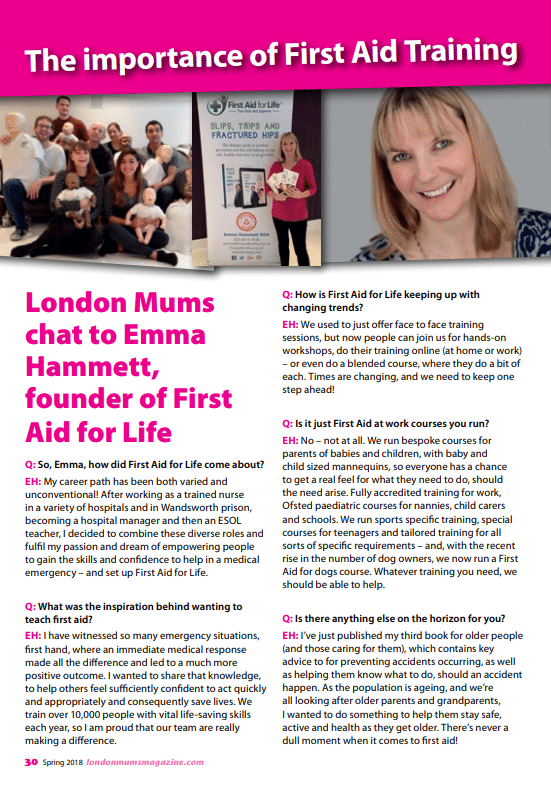 So, Emma, how did First Aid for Life come about? My career path has been both varied and unconventional! 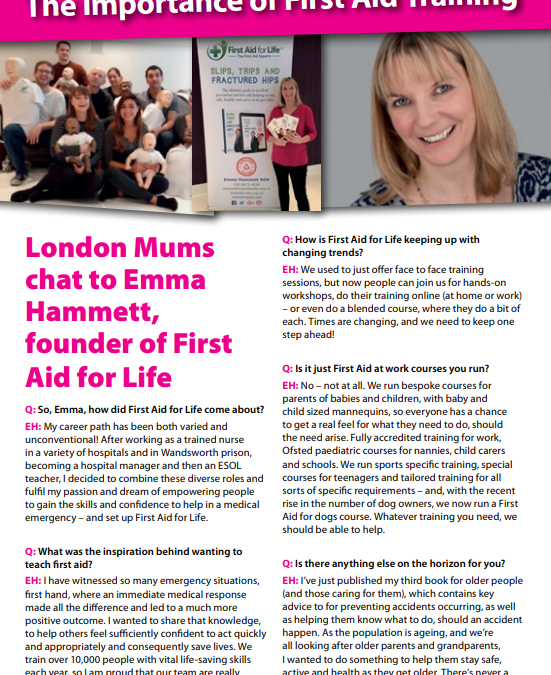 After working as a trained nurse in a variety of hospitals and in Wandsworth prison, becoming a hospital manager and then an ESOL teacher, I decided to combine these diverse roles and fulfil my passion and dream of empowering people to gain the skills and confidence to help in a medical emergency – and set up First Aid for Life. 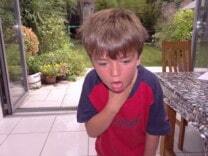 What was the inspiration behind wanting to teach first aid? I have witnessed so many emergency situations, first hand, where an immediate medical response made all the difference and led to a much more positive outcome. I wanted to share that knowledge, to help others feel sufficiently confident to act quickly and appropriately and consequently save lives. We train over 10,000 people with vital life-saving skills each year, so I am proud that our team are really making a difference. How is First Aid for Life keeping up with changing trends? We used to just offer face to face training sessions, but now people can join us for hands-on workshops, do their training online (at home or work) – or even do a blended course, where they do a bit of each. Times are changing, and we need to keep one step ahead! Is it just First Aid at work courses you run? No – not at all. We run bespoke courses for parents of babies and children, with baby and child sized mannequins, so everyone has a chance to get a real feel for what they need to do, should the need arise. Fully accredited training for work, Ofsted paediatric courses for nannies, child carers and schools. We run sports specific training, special courses for teenagers and tailored training for all sorts of specific requirements – and, with the recent rise in the number of dog owners, we now run a First Aid for dogs course. Whatever training you need, we should be able to help. Is there anything else on the horizon for you? I’ve just published my third book for older people (and those caring for them), which contains key advice to for preventing accidents occurring, as well as helping them know what to do, should an accident happen. It is endorsed by RoSPA and Age UK and our older people’s social cause www.staysafe.support has the support of Dame Esther Rantzen and Hugh Pym, the BBC Health Correspondent. As the population is ageing, and we’re all looking after older parents and grandparents, I wanted to do something to help them stay safe, active and health as they get older. There’s never a dull moment when it comes to first aid! First Aid for Life produce weekly educational newsletters covering specific injuries, illnesses and first aid related topics. Our subscribers find the content an invaluable resource. Please submit your email address to benefit from this too. You are able to easily unsubscribe at any point. Opioids – how to prevent an American-style crisis in Britain. Thanks! Please check your email to find out how to log in and get started. It may take up to 2-3minutes to arrive.